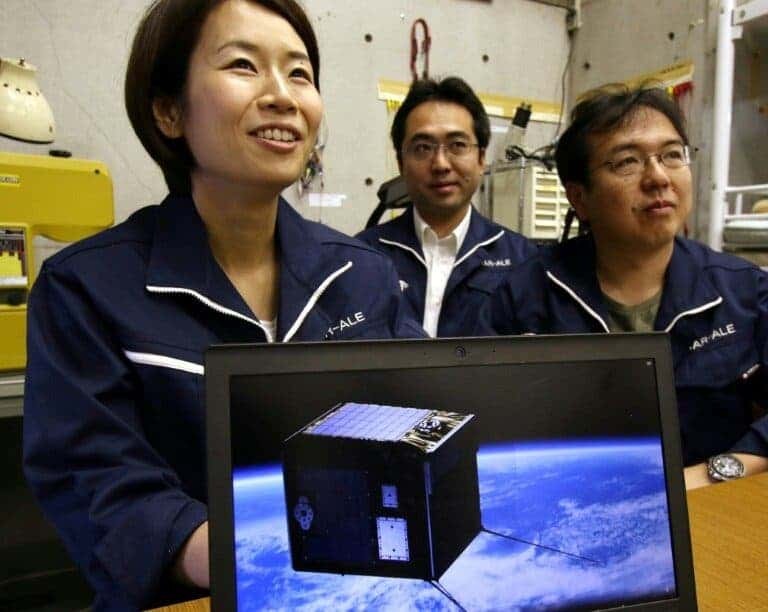 A Tokyo-based startup offering “shooting stars on demand” just launched their first satellite into space this Friday. An Epsilon-4 rocket launched from the Uchinoura space center earlier today carries on board a micro-satellite that aims to put on a show on the night sky. The device is intended to release tiny balls of material through the atmosphere, simulating a meteor shower. A Japan Aerospace Exploration Agency (JAXA) spokesperson confirmed that all satellites on board the rocket successfully reached Earth’s orbit. The microsatellite is the brainchild of Japanese start-up ALE Co. Ltd, which plans to deliver its first meteorite show over Hiroshima in the spring of 2020. The satellite is equipped with 400 such tiny balls — whose chemical formula is a closely-guarded company secret. As each meteorite show should take up around 20 such balls, the satellite should have enough ‘ammunition’ for 20 to 30 events, the company adds. Right now, however, the satellite isn’t really in place. It’s currently orbiting the Earth at around 500 kilometers (310 miles) altitude. It will descend to roughly 400 kilometers as it orbits the planet over the coming year — which should put it close enough to the surface to safely launch its meteorites. ALE says it is marketing its shows to “the whole world”, and plans to build up a stockpile of their shooting stars/balls in space that can be later transported wherever they’re needed. Further chemical tinkering with these balls should allow the company to create new colors as they burn up in the atmosphere to create more spectacular shows. Each of these shooting stars is expected to last for several seconds before burning up completely. As such, they won’t have any chance of reaching the surface, ALE adds. However, they would be bright enough to be seen even over light-polluted areas, such as metropolises. The company also plans to launch a second satellite on a private-sector rocket in mid-2019. After the second satellite reaches orbit, they will be used either separately or in tandem, depending on individual customer wants. If all goes according to plan since then, the 2020 event could be visible to millions of people, according to the company. Hiroshima was chosen for the first display, because of its good weather, landscape, and cultural assets, Okajima explains. So far, ALE has not disclosed the price for an artificial meteor shower. The rocket that brought ALE’s microsatellite to orbit also carried six other ultra-small satellites. These will be used to demonstrate various “innovative” technologies, JAXA spokesman Nobuyoshi Fujimoto told AFP.